Bhutan is the last bastion of the Mahayana form of Buddhism in the world today. 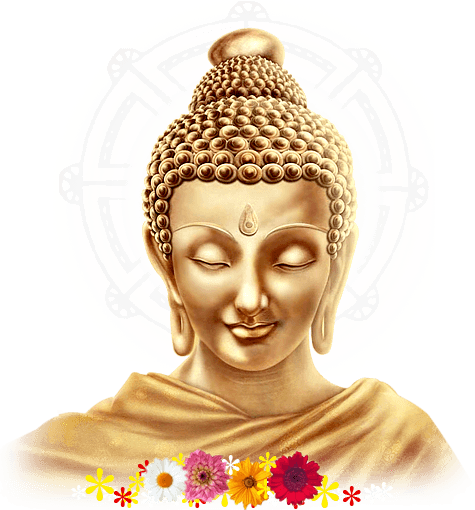 It was in the 8th century AD that Guru Padma Sambhava introduced Buddhism to the country. Subsequently this was promulgated by various other religious figures who visited Bhutan. The dominant sect that came to be established in the country was the Drukpa Kargyu sect of Mahayana Buddhism - to which the King and other high government officials belong to, which is now the official religion of Bhutan. Meanwhile, the Sharchhop community in the east practise Nyingmapa Buddhism. Although originating from Tibetan Buddhism, Bhutanese Buddhism differs significantly in its rituals, liturgy, and monastic organization. The Bhutanese are very pious people and religion plays an important part of their daily lives. Prayer flags fluttering in the wind, chortens (stupas), monasteries and twirling prayer wheels are a very common sight. Religion permeates all strands of secular life and this has brought about a reverence for the land and its well-being. In the modern era, support of the state religion during the reign of Jigme Dorji Wangchuck included the manufacture of 10,000 gilded bronze images of the Buddha, publication of elegant calligraphied editions of the 108- volume Kanjur (collection of the words of the Buddha) and the 225-volume Tenjur (collection of commentaries), and the construction of numerous chorten (stupas) throughout the country. Guaranteed representation in the National Assembly and the Royal Advisory Council, Buddhists constituted the majority of society and were assured an influential voice in public policy. There are some 1,000 monks (lam, or gelong, novices) belonging to the Central Monastic Body in Thimphu and Punakha, and some 4,000 monks belonging to district monastic bodies. The hierarchy was headed by the Je Khenpo, who was assisted by four lonpon or masters, each in charge of religious tradition, liturgy, lexicography, or logic. The lonpon, one of whom, the Dorji Lonpon, normally succeeded the current Je Khenpo, had under religious administrators and junior monastic officials in charge of art, music, and other areas. Gelugpa monks were celibate, but Nyingmapa monks were not so restricted and could marry, raise families, and work in secular occupations while performing liturgical functions in temples and homes. There were some 12,000 monks in Bhutan in the late 1980s. There were also active congregations of nuns, but no figures were readily available. The majority of Bhutan's Buddhists are adherents of the Drukpa subsect of the Kargyupa (literally, oral transmission) school, one of the four major schools of Tibetan Buddhism, which is itself a combination of the Theravada (monastic), Mahayana (messianic), and Tantrayana (apocalyptic) forms of Buddhism. The Kargyupa school was introduced into Tibet from India and into Bhutan from Tibet in the eleventh century. The central teaching of the Kargyupa school is meditation on mahamudra (Sanskrit for great seal), a concept of having realized the emptiness to freedom from reincarnation. Also central to the Kargyupa school are the dharma (laws of nature, all those exist, real or imaginary), which consist of six Tantric meditative practices teaching bodily self-control so as to achieve nirvana. One of the key aspects of the Kargyupa school is the direct transmission of the tenets of the faith from teacher to disciple. The Drukpa subsect, which grew out of one of the four Kargyupa sects, was the pre eminent religious belief in Bhutan by the end of the twelfth century. Monasteries and convents were common throughout Bhutan in the late 20th century. Both monks and nuns kept their heads shaved and wore distinguishing maroon robes. Their days were spent in study and meditation but also in the performance of rituals honoring various bodhisattvas, praying for the dead, and seeking divine intercession on behalf of the ill. Some of their prayers involved chants and singing accompanied by conch shell trumpets, thighbone trumpets (made from human thighbones), metal horns up to three meters long, large standing drums and cymbals, hand bells, temple bells, gongs, and wooden sticks. Such monastic music and singing, not normally heard by the general public, has been reported to have "great virility" and to be more melodious than its Tibetan monotone counterparts. To bring Buddhism to the people, numerous symbols and structures are employed. Religious monuments, prayer walls, prayer flags, and sacred mantras carved in stone hillsides were prevalent in the early 1990s. Among the religious monuments are chorten, the Bhutanese version of the Indian stupa. They range from simple rectangular "house" chorten to complex edifices with ornate steps, doors, domes, and spires. Some are decorated with the Buddha's eyes that see in all directions simultaneously. These earth, brick, or stone structures commemorate deceased kings, Buddhist saints, venerable monks, and other notables, and sometimes they serve as reliquaries. Prayer walls are made of laid or piled stone and inscribed with Tantric prayers. Prayers printed with woodblocks on cloth are made into tall, narrow, colorful prayer flags, which are then mounted on long poles and placed both at holy sites and at dangerous locations to ward off demons and to benefit the spirits of the dead. To help propagate the faith, itinerant monks travel from village to village carrying portable shrines with many small doors, which open to reveal statues and images of the Buddha, bodhisattavas, and notable lamas.